Aquille Carr made his next move his best move as the Baltimore native and professional basketball player officially becomes the first signed athlete to Wooter and will partner with the company to customize and release his signature AC3 merchandise line. Aquille Carr knows a thing or two about making big moves on the court. He always makes them count for something. 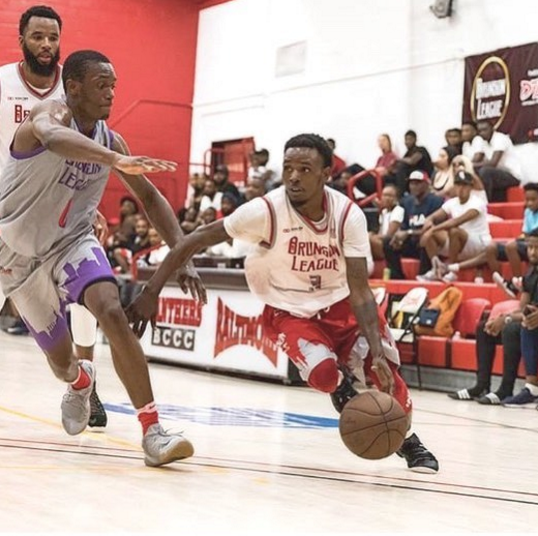 Ever since the flashy 5-foot-6 tough guard came out of Baltimore as one of the must-see high school players in the country and forewent his college career to turn professional in 2013, Carr has finished at the rim, knocked down jumpers, and grown his game from China, to the NBA G-League, Canada, and most recently overseas in Cyprus. 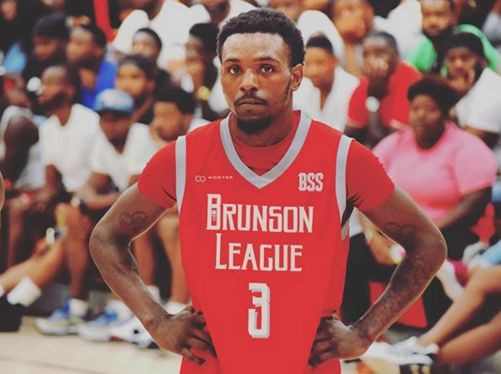 Baltimore City even witnessed “Crimestopper” go to work against marquee NBA and pro players in the famed Brunson League this past summer, with Carr sporting his #3 Wooter Apparel jersey. Now, Aquille Carr is making some big moves off of the court too. Last week, Carr took to Instagram to announce his partnership with Wooter and promote the upcoming release of his signature A3C merchandise line. The deal is also a historic occasion as Carr becomes the very first athlete signed to Wooter. “This opportunity with Wooter really means a lot to me. I am very thankful for the chance to partner with everyone at Wooter and am proud to be part of the company in launching AC3,” Carr said about the partnership with Wooter. “I chose to partner with Wooter because it gives me a chance to control my brand the way I want, and that is something I have never had the opportunity to do up to this point. It shows that my brand of basketball is still valuable,” said Carr, who is next planning to play in Mexico for the 2018-19 season. By teaming up with Carr to create and produce the AC3 line, Wooter adds yet another impressive name to the long roster of stars, leagues, and teams partnering with the Staten Island-based sports brand since the company launched in 2014. Over the last year alone, Wooter Apparel has uniquely designed, produced, and outfitted the likes of Master P, Floyd Mayweather, the Brunson League, Hoops In The Sun, Ballin 4 Peace, Gotham Hoops, the Darren Collison All-Star Game, and the AAU program Team Teague sponsored by NBA brothers, Jeff and Marquies Teague — and that’s just some of the amazing projects taking place on the basketball side. Wooter changed the game sport-by-sport by developing a one-stop-market place for youth, recreational, college, semi-professional, and professional sports leagues to create customized quality sports apparel. In just a matter of four years, Wooter also emerged to dominate a global market in over 25 countries, including Japan, Tanzania, Antigua, Grenada, Malta, the Netherlands and Australia, among others thanks to their advanced Wooter platforms. Displaying their logo and sublimation designs on jerseys and uniforms from New York to the Netherlands has allowed the once small start-up sports brand to establish themselves as worldwide leader in customized sports apparel. Aquille Carr joining the Wooter family as the first athlete signed by the company is yet another reason why Wooter remains the sports brand to watch grow and continues to set trends along the way. 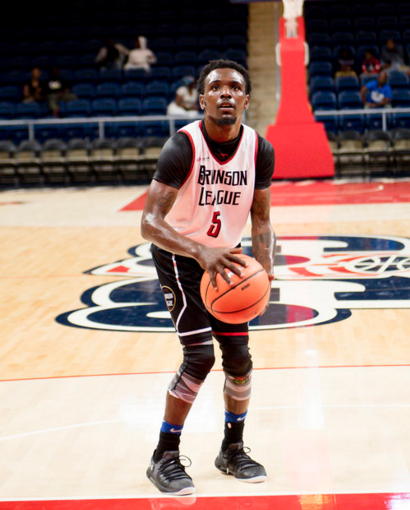 The chance to work more closely with Carr and create and produce the AC3 line has taken shape over the past few months since the conclusion of the Brunson League and as Carr represented with some Wooter Apparel prior to an NBA G-League workout with the Capital City GoGo (Washington Wizards affiliate). Next up, Aquille Carr will be sporting his own AC3 line as he continues his basketball journey with Wooter. It’s just another big move the kid from Baltimore is ready to make count.